Red Wing, like so many other towns on the early frontier, rode the waves of prosperity. Red Wing always bounced back, however, due in part to its prime location. Set on bluffs overlooking the Mississippi River about one hour south of the Twin Cities, the city attracts nature lovers, shoppers, diners, architecture and history buffs, and tourists of all interests. Red Wing’s downtown is filled with restored buildings, including the ornate Sheldon Theatre, where you can catch top-notch plays and musical performances. Spring, summer and fall, hundreds of flower baskets hang from lamp posts, and the river comes alive with barges, fishing and excursion boats. Visitors can enjoy a picnic in a landscaped park or dine in one of Red Wing’s noted fine restaurants. River City Days, the community’s annual festival held the first week in August features car shows, a Venetian boat parade, arts and crafts fair, grandstand events, an ice cream social, and, of course, a huge parade. When summer turns to fall, the leaves are vibrant and beckon the “leaf lookers” to town from around the region. In the wintertime, Red Wing’s beauty shines through and warms the community spirit. 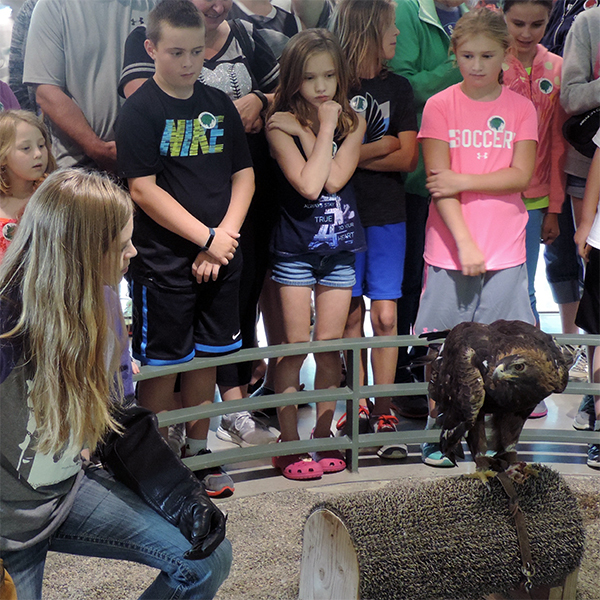 Each February and March, hundreds of bald eagles come to Red Wing to perch high in cottonwood trees along the banks of the Mississippi River. Watching these majestic birds in flight has become an annual tradition in town, attracting photographers and tourists from across the region. 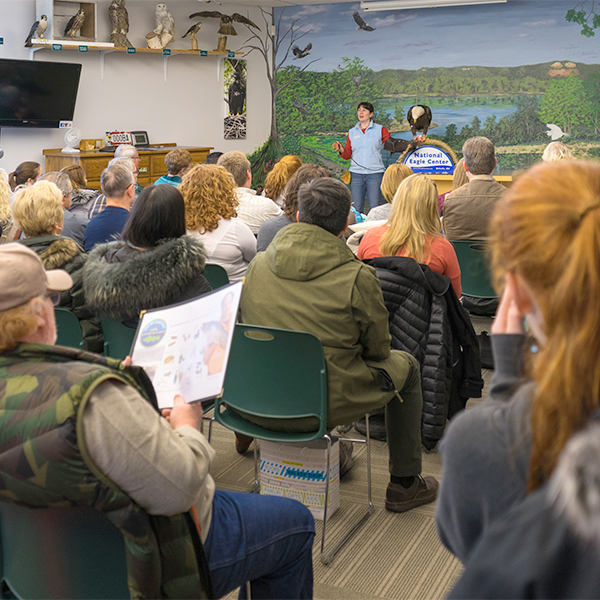 Eagle Watch weekends are held annually on the last three weekends of February and the first three weekends in March. The best location from which to view the eagles is Colvill Park in Red Wing, just off Highway 61. Scopes are available, but be sure to bring your binoculars and cameras to capture the full flavor of the moment. There’s plenty to do – hiking, biking, golfing, shopping – it’s all here in Red Wing! The Cannon Valley Trail, which was built on a converted railroad line, runs from Red Wing to Cannon Falls, Minn. The trail offers a unique and scenic way to view the area on a bike or on foot. The Prairie Island Indian Community hosts its annual Wacipi Celebration Powwow in July. This event features dancers and drummers from the United States and Canada.